Of the four hijacked aircraft on 9/11, the nine minutes of advance notification about the hijacking of Flight 11 was the most time that NORAD had to respond before the aircraft crashed into its target. I am sure that these tragic attacks have lowered the bar in terms of time to react to a off-route deviation by planes and was wondering what this means for flights to the Paris airports CDG and ORY. 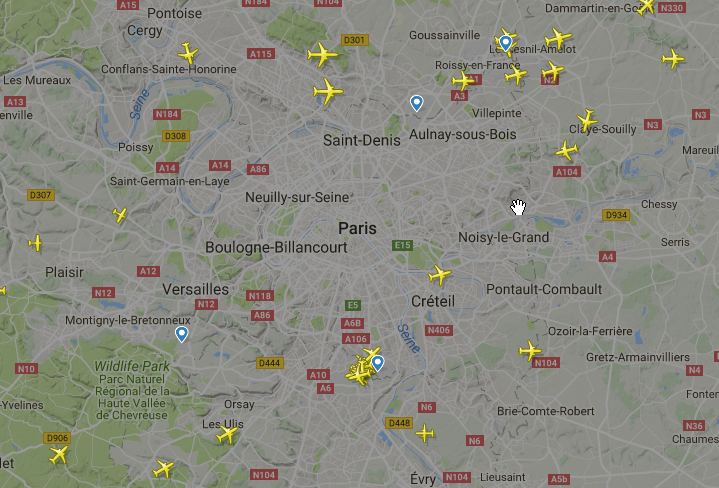 and it seems like (quite understandably) that planes avoid Paris intra muros. This said, they are quite close and the ~20 km distance from Paris is a ~2 min flight. Since the closest airports which may host Rafales are I believe Le Bourget and Vélizy-Villacoublay, the interception planes would need much more than that to be on their tracks before they entre Paris. With all this said, how much can a plane deviate from its path before Paris before it is intercepted (and brought down a way or another)? Note: while I am particularly interested by Paris (living there) I can understand that the information is classified (though probably easily guessable for someone who knows about aviation). In that case another public information is welcome to understand how things changed after 9/11. It didn't go exactly over the Notre-Dame, but even on this scale you should be able to see that it did cross inside Boulevard Périphérique. 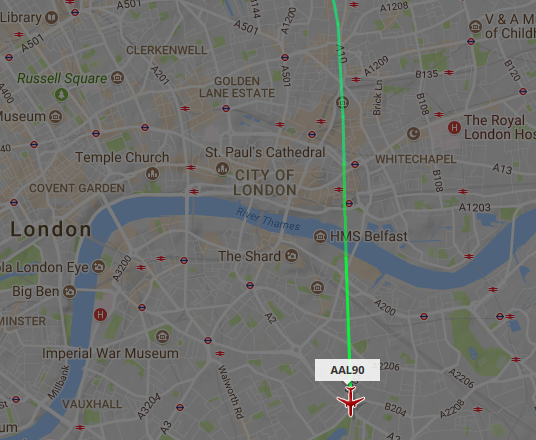 Perhaps more relevant than the Crown Jewels, this flight path is just a few hundred meters from the City of London skyscrapers. If the pilots had wanted to reenact 9/11, they could have crashed into something tall and famous about 10 to 20 seconds after deviating from their expected horizontal flight path. (But they'd need a bit more time than that to descend -- call it a minute or so from the first non-routine control input). Not the answer you're looking for? Browse other questions tagged flight-path security france or ask your own question.